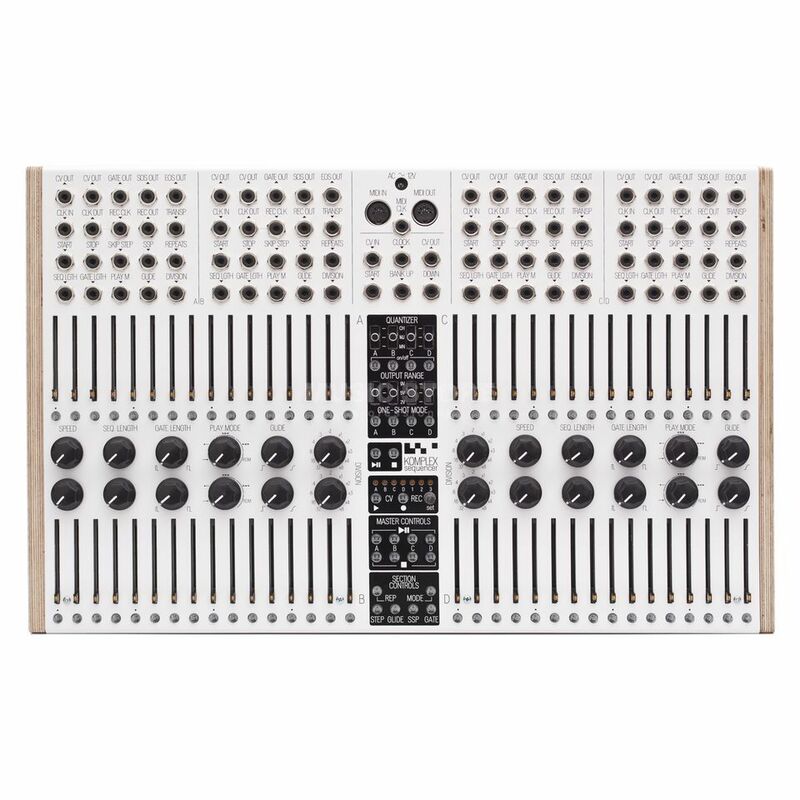 The Koma Elektronik Komplex Sequencer is a midi sequencer. The Koma Elektronic sequencer enables you to construct complex musical patterns via MIDI and CV/Gate. The Komplex Sequencer is a powerful tool for both live and studio use. All features have their own dedicated controls; no screens or submenus, and have their own dedicated in and outputs on the large 87-point patch bay. The Komplex Sequencer opens up a whole new world of creative possibilities and starts where other sequencers have stopped.